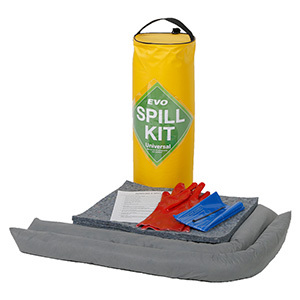 This handy EVO universal recycled spill kit is designed to be used in an emergency situation and is supplied in re-usable cab bag. They are compact, convenient to store and easy to use, making them a must have for any factory, truck driver or manufacturer. 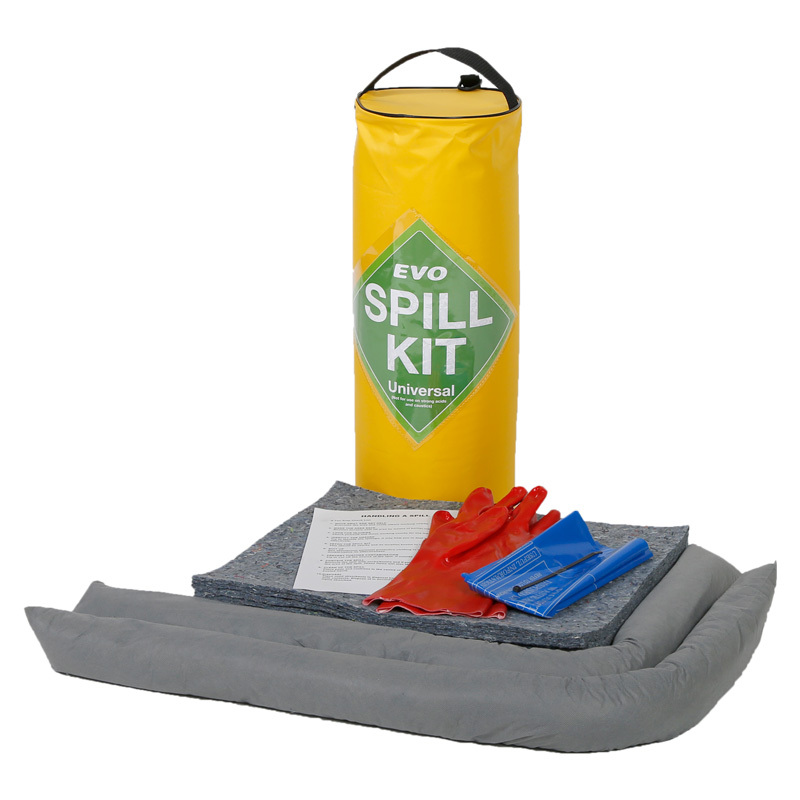 The EVO range is made from material containing 85% recycled natural fibres making it environmentally friendly and giving a very low carbon footprint. Suitable for cleaning hydraulic oil, lubricating oil, engine oil, solvents and coolants.